My mother used to bring me and my brother almost every month to IKEA, Kungens Kurva in Skärholmen, south of Stockholm. The first IKEA opened in 1965, and I was born in 1970, so I was literary born into the era of IKEA “wonderland”. First thing to do when we arrived at Ikea was: we “parked” my brother at “Småland” and kind of got rid of a heavy load, but he was happy, playing around like a wild child in the colourful “ballroom”. 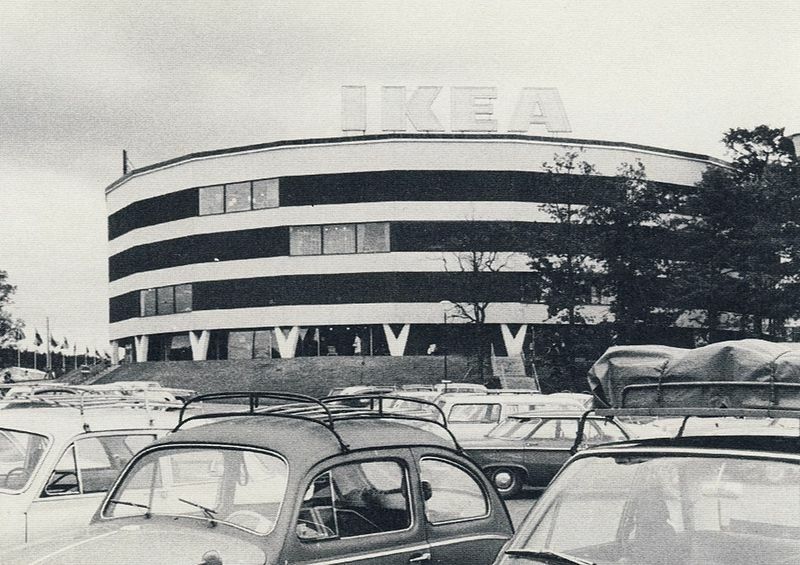 We call IKEA in Stockholm “Guggenheim of Sweden” fits the building perfect …. it’s ROUND and a great milestone to architecture. Now I hope that ALL architects are agreeing with me! I found this great Black & White photograph of IKEA, on the internet. The Volkswagen Beetle in the front on the picture could have been my father’s!! Nota Bene: the photographer is unknown so no copyright, I usually never post photographs on the website unless they are mine. Why do Thais not care about climate change?